Philipsburg is the biggest town located on the Saint Maarten island. 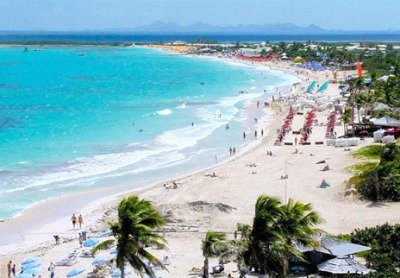 Saint Maarten island is divided into two parts - Dutch and French. Philipsburg is located in the Dutch part of the island. You can also visit the French side of the island, the main city of which is Marigot. 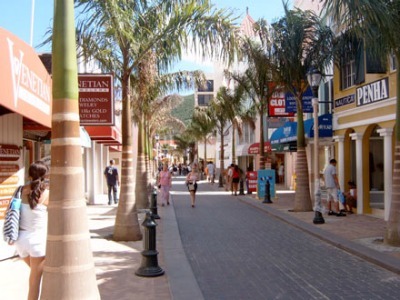 Philipsburg and Saint Maarten island have amazing beaches, very large and vibrant duty free shopping opportunities (it's one of the largest shopping centers in Caribbean) as well as many types of entertainment and fun activities. The majority of cruise ships will dock in Great Bay on the Dutch side of St. Maarten. The pier, which is one mile from the Philipsburg city center, is called the A.C. Wathey Pier. Taxis are available directly at the pier to transport travelers into town for a small fare. In addition, one can walk from the pier to downtown Philipsburg in approximately 15 minutes. Some ships may choose to dock at Little Pier and then transport their passengers into the center of Philipsburg. There is much to see and do in Philipsburg and in St. Maarten. In Philipsburg you can enjoy some of the trendiest restaurants and you can shop in the multitude of duty-free shops available. The most famous shopping streets are Front and Old Streets, although you can enjoy great shopping in many other places. On another note, you can explore Orient Beach (part of which is clothing optional) to enjoy the beautiful white sand that stretches for over 1 1/2 miles along the coast. If you are a big fan of nature, you can take a trip to the Butterfly Farm to admire hundreds of butterflies of various colors and species. For the more adventurous travelers, kayaking activities and snorkeling are available for you to experience the exotic wildlife and coral reefs of St. Maarten. You can also take a historical tour of St. Maarten via bicycle. Finally, St. Maarten is also a great place to sail. In fact, you can even compete in a shortened version of the America's Cup race if you so choose. There are plenty of nice restaurants to enjoy on both Dutch and French side of the St. Maarten island. On the Dutch side, you can, for example, go to Chesterfield's for a casual lunch or to St. Antoine, which is a more upscale place. On the French side, in Marigot (the main town on the French side) you can go to l'Oiseau Rare - a French bistro that has a great view of Marigot harbor. Or you can visit Le Mini Club, which is famous for its Creole and French cuisine. These are just some suggestions, there are many other places where you can have wonderful dining experience. Once you arrive at the port, you can either hail a taxi to travel into the center of Philipsburg, or you can choose to take the 15 minute walk. Cab fares are extremely reasonable. Another option is to take a water taxi from the cruise pier to the center of Philipsburg. That will cost you $3 one-way and $5 roundtrip. It is possible to rent a car in St. Maarten, but if you are only staying for a day as part of a cruise, this may not be your best option. In that case, you can just walk or use a taxi to explore the area. The island of St. Maarten is owned by two different countries. One side of the island has French as the official language, while the other side has Dutch as its official language. However, English is the language most frequently spoken on both sides of St. Maarten. The official currencies of St. Maarten are the Euro on the French side and the guilder on the Dutch side, but the US dollar will be accepted everywhere. Most stores will post prices both in the local currency and in US dollars. If you want to stay in touch with folks back home, you can use the Internet Paradise cafe located at the intersection of Yrausquin Boulevard and Front Street. 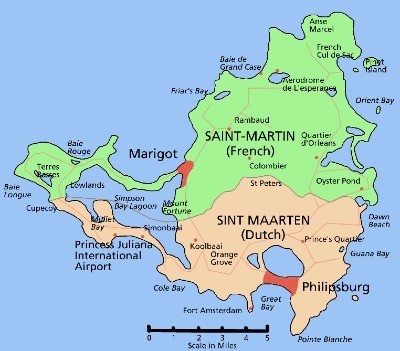 The map of St. Maarten, including both the Dutch and the French sections. The Orient Beach, one of the most famous beaches in Caribbean region. Front Street in Philipsburg. Shopping is very popular in Philipsburg and Front Street is one of the main streets for shopping. 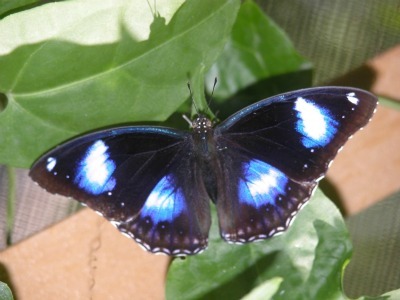 One of the butterflies in Butterfly Farm.